Hello, Thursday people! How’s your week going? Mine’s been full of birthday baking projects and other baking projects. And debates about how tacky is TOO tacky when it comes to Halloween decorations for the new house. Any thoughts? 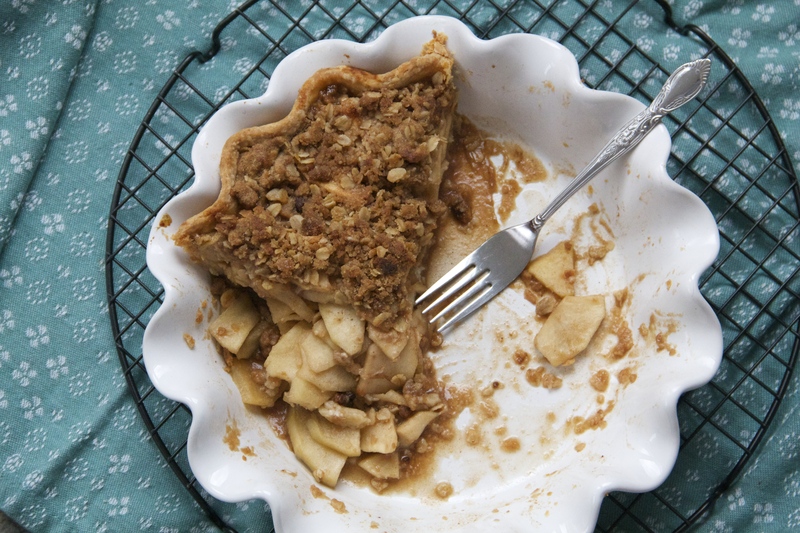 The time to make Apple Crumb Pie is NOW! Keyboard waffle? I mean, sure. Good on you, Danny Meyer. I just subscribed to Lenny (the newsletter put out by Lena Dunham and Jenni Konner) and am digging it so far. INA, INA, INA (I am chanting, for the record). Really enjoyed Megan’s post, and the recipe for Dorie’s Apple Squares looks fantastic. I’d like to buy and then live exclusively in these sweatpants.